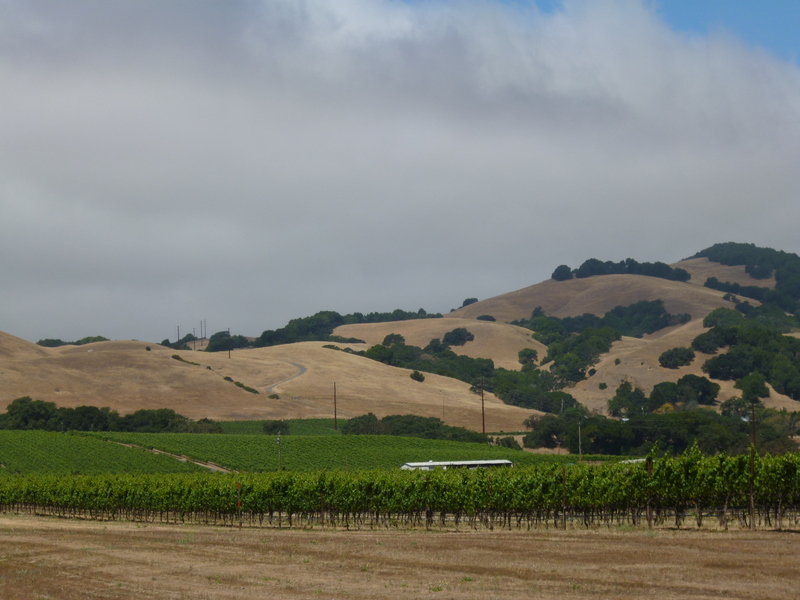 We left Yosemite and headed west to Sonoma, California. Everything seems to grow in the Napa and Sonoma valleys, but mostly grapevines dominate the landscape. We parked the roamer at one of Pam’s high school alums that we met recently at the Orme Sustainability Workshop and the yearly reunion a week later. Dani and her dog Smokey were great hosts. 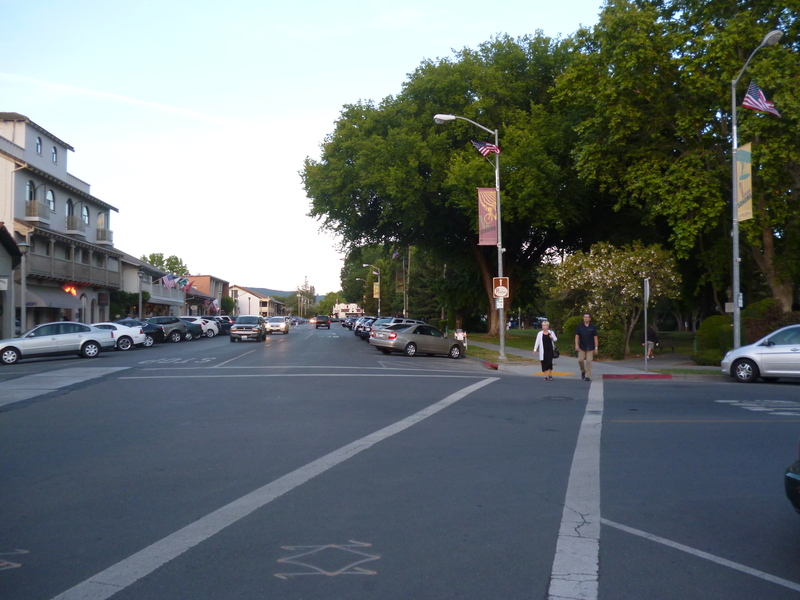 We checked out downtown Sonoma and a few good restaurants in the Sonoma area. 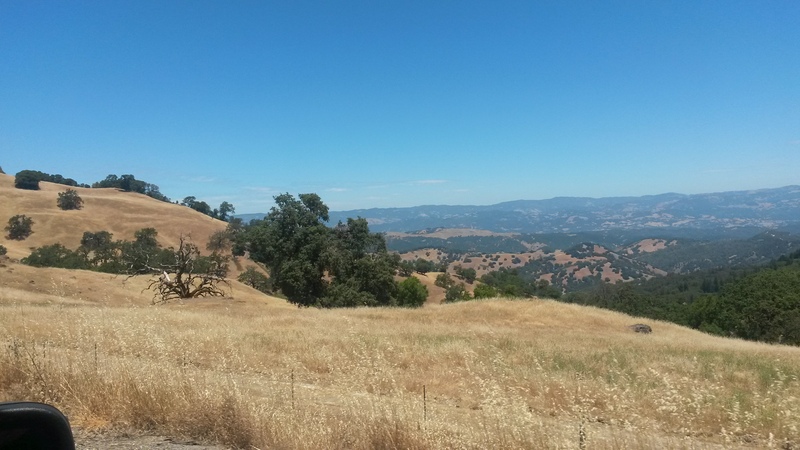 We then headed for the California coast over the rolling hills between the hwy 101 and hwy 1 along a road that was marked as “other road (paved)” on our Rand McNally map book. 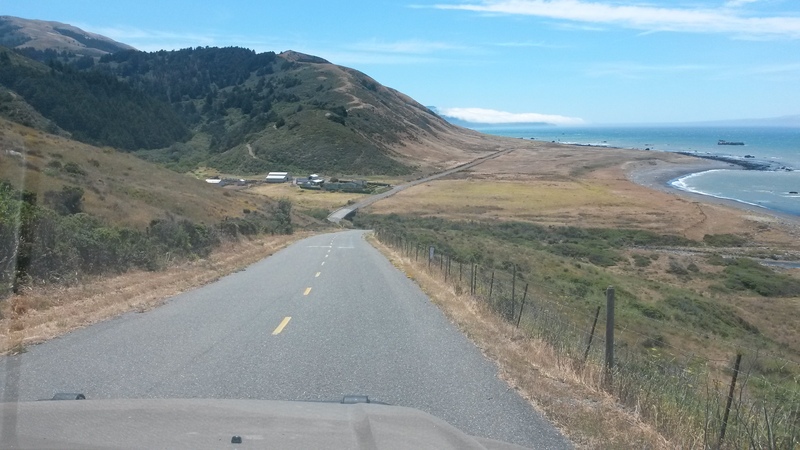 It was a great drive through the hills as the road varied in width from two lanes wide to sometimes barely one lane. Luckily the traffic was very light so it was an enjoyable drive. 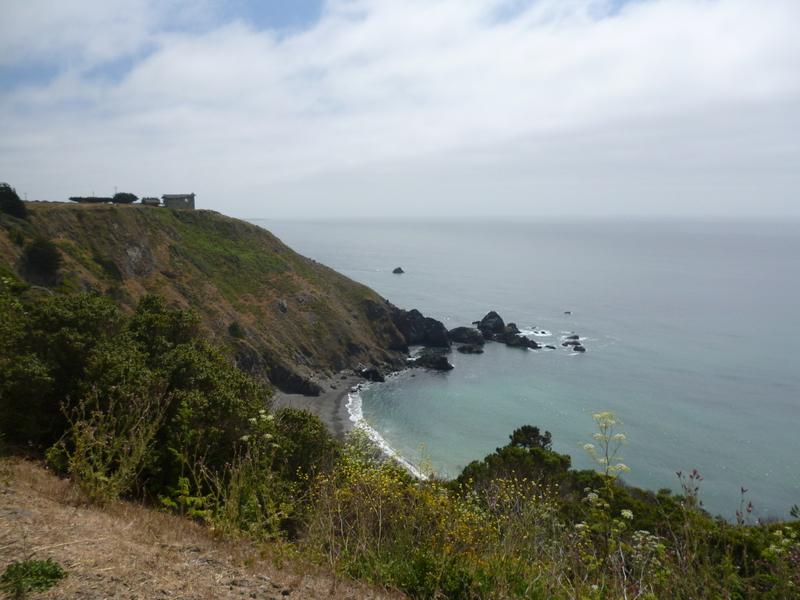 We hit the coast and drove north on hwy 1 to Van Damme State Park for the night. 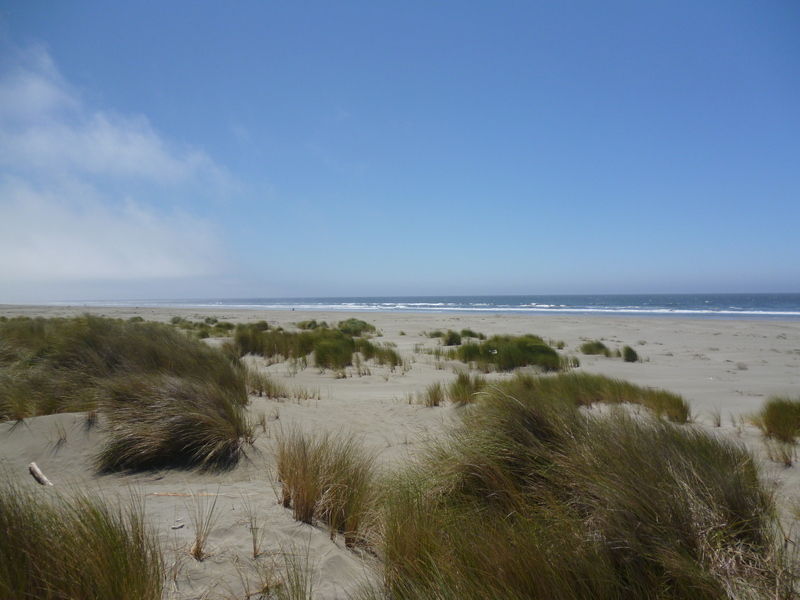 There seems to be a lot of land along the coast for sale. We found out for many of the older places their wells have dried up and need to have water trucked in now. Million dollars views and nothing to drink but beer and wine – could be worse. 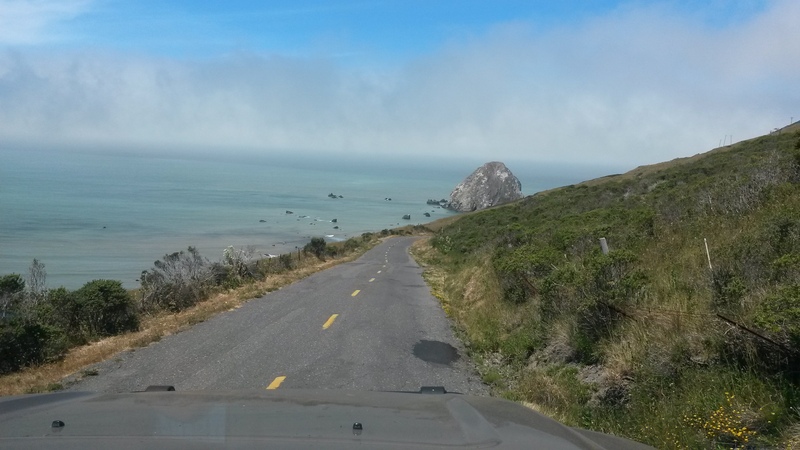 We then headed further north to the Redwood National Park, just north of Eureka. We stopped along the way to check out the beaches. 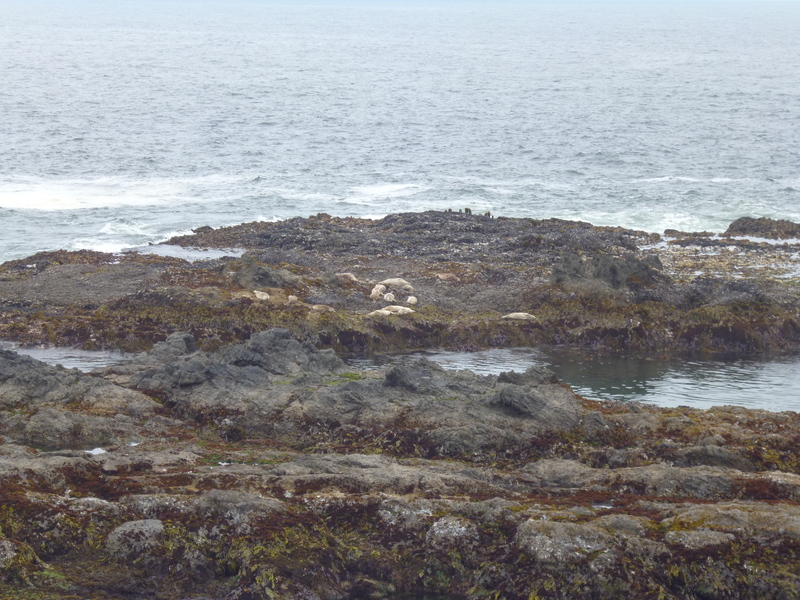 And even found a few sea lions basking in the sun at one of the stops. 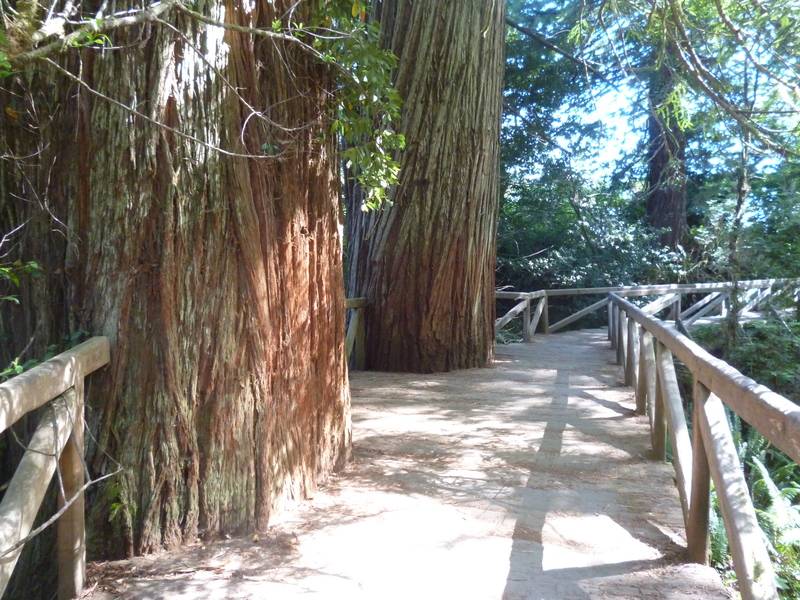 The redwoods may not be as wide as sequoias, but they are taller. 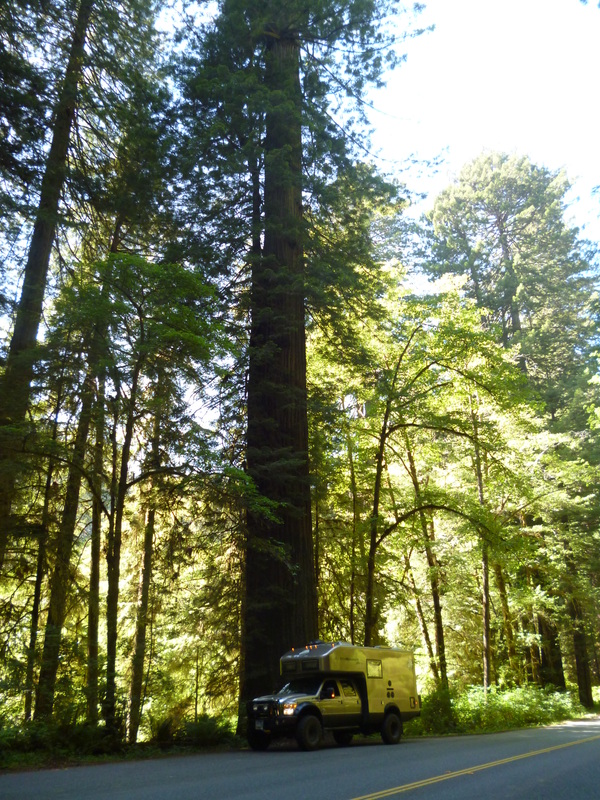 We parked by one of the redwoods along the park road. We did several hikes through the park. 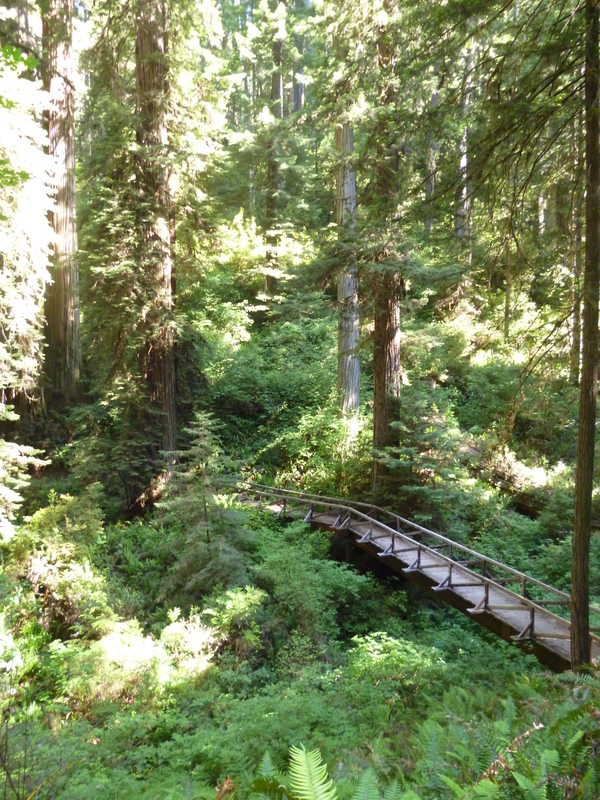 The forest represents only the 5% of the old growth redwoods they could save before they were all logged and the place is jungle-lush with growth. 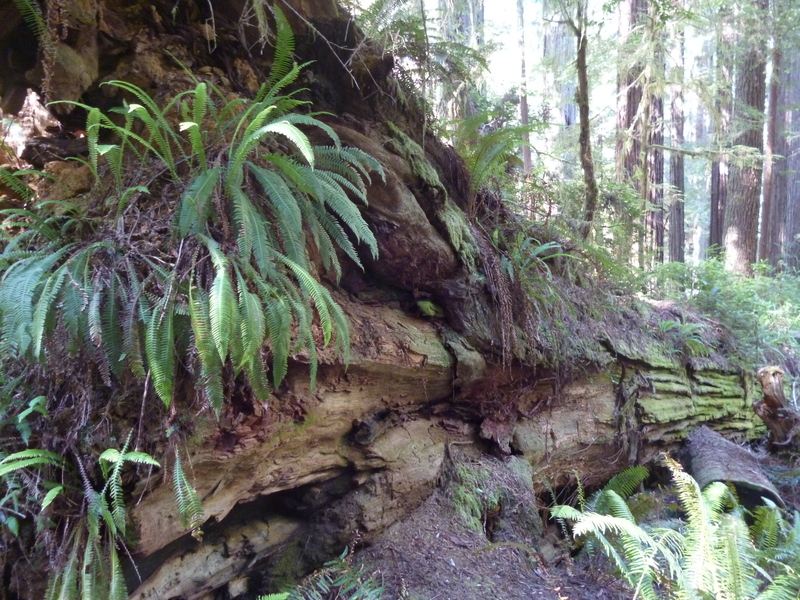 Even the fallen trees provide a growth area on top for ferns and smaller trees. 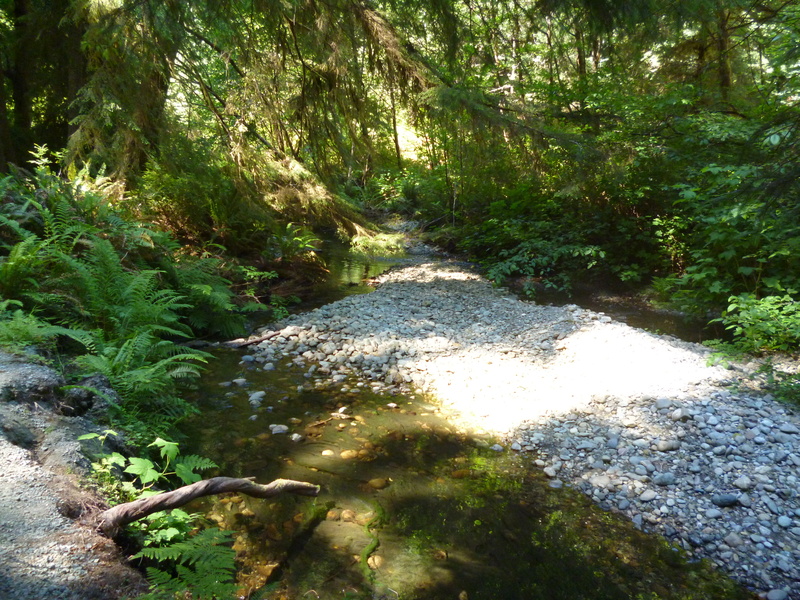 Small streams ran through the woods with crystal clear water. 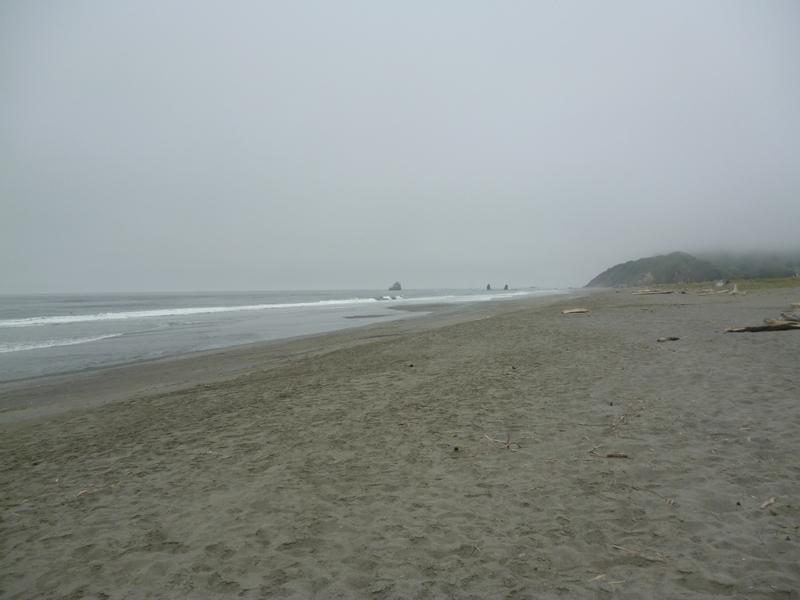 The ocean was less than a mile or two away so we had lunch on the beach between hikes, watching the fog roll in. We camped at the Elk Prairie campground in the park. It was aptly named given the elk that were all around. 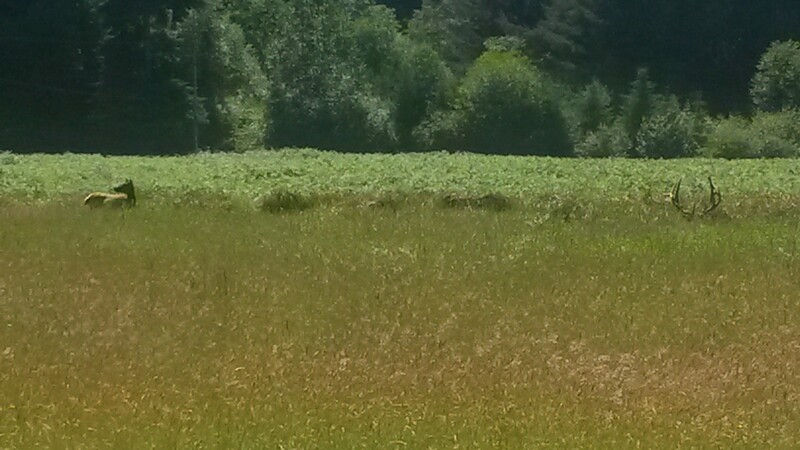 Check out the rack of the bull elk on the right resting in the tall grass. 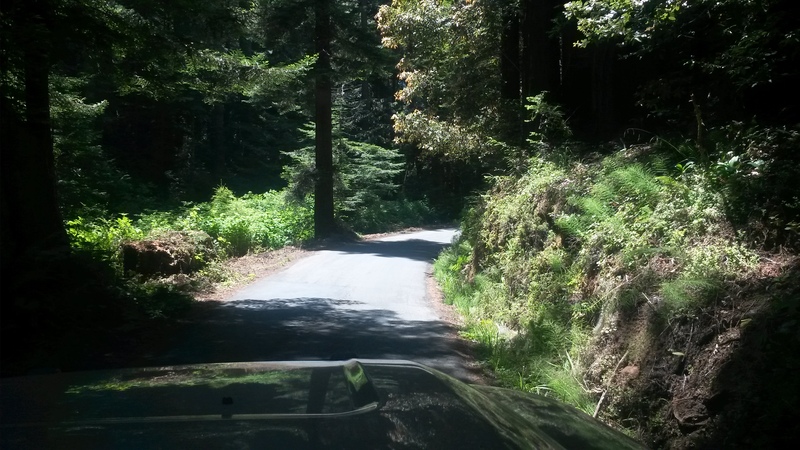 We then headed south to Humboldt Redwood State Park using another of the “other paved” roads noted on the map and recommended by Lou. 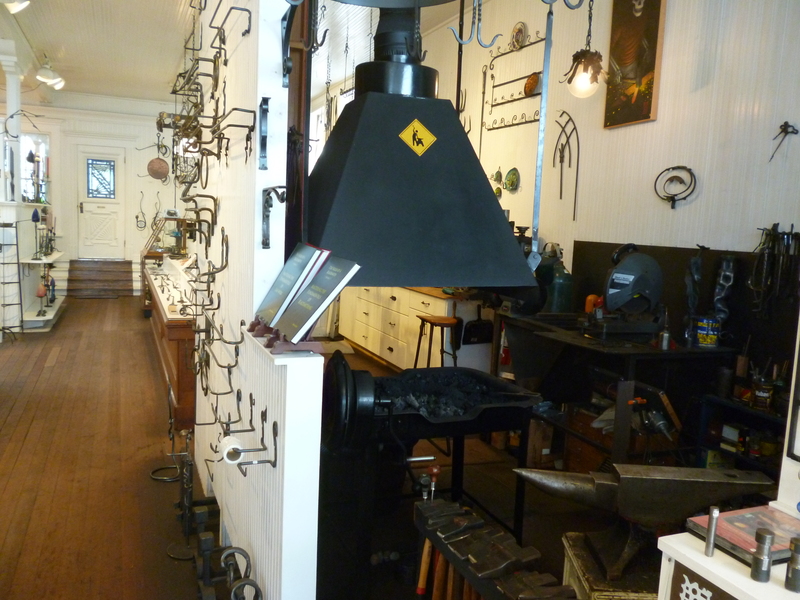 The road starts in a little town of Ferndale, which has a great blacksmith studio and gallery along with a good pie shop. The road was a winding road through the coastal hills that drops you down to the seaside, hidden from most of the travelers through this area of the country. The end of the drive enters the Humboldt Redwoods park from the less-traveled west-side entrance. What a great drive. The road was a little rough given the hundred of pothole patches along the way, but at least it was 2 lanes wide for nearly all of the route. 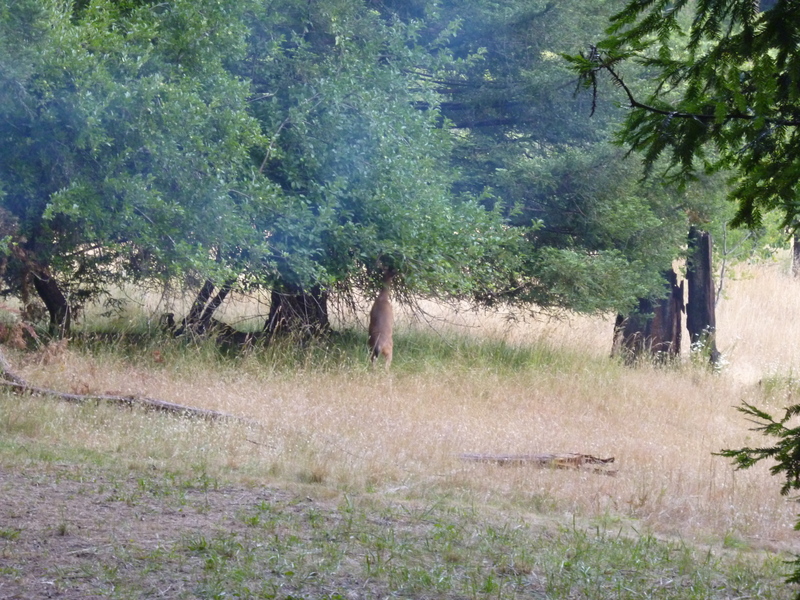 We camped at Albee campground in Humboldt which used to be the location of the old Albee homestead before the park was created. 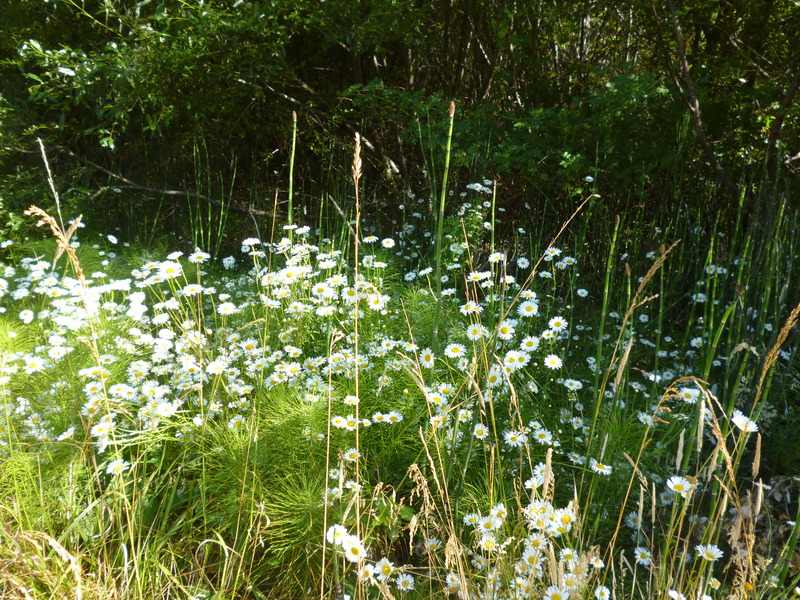 Pam and I went for a walk around the place after we arrived and through the old orchard of the homestead. We found what we learned later was inch grass, a bamboo looking plant that appears like 3 foot tall strands of asparagus that lined the perimeter of the field. We surprised a deer buck that bounded out of the tall grass and as we watch him we turned and noticed a bear under one of the orchard trees about 20 feet away. Both of us must have noticed each other at about the same time because the bear had that “duh” look on his face as he looked at us. I guess so did we. He then ran the other way into the orchard. That makes 8 bears so far this trip. The deer were eating the apples too as we noticed this buck on his hind legs reaching for some of the low hanging fruit. Goodbye to the redwoods for now. We’re now heading north to Oregon.